On 18 December 2015, the Forest Stewardship Council (FSC) published the final version of a long-awaited update to its Controlled Wood standard (FSC-STD-40-005 v.3-0). You can link to the announcement here, and download a copy of the new standard document here. This update has been in the works for nearly 5 years and the subject of seemingly endless discussion, debate, analysis, and hand-wringing. Two discussion drafts were released – the first in fall of 2013 and the second in late 2014. This final, approved document – sadly – bears little resemblance to either of them. More importantly, because the FSC system relies on a complex series of interconnected documents and guidelines, this new approved standard represents only a piece of an ongoing revision process for the Controlled Wood System that promises to continue for some time to come (click here to see lots and lots of detail). It is, nonetheless, a very important step forward and worthy of a closer look. MixedWood wrote an earlier post in May of last year, updating readers about the status and ongoing challenges of FSC’s Controlled Wood revision. For those unfamiliar with the details, we recommend clicking back for a look before continuing. Version 3-0 replaces Version 2-1 which was published in October of 2006. It is significant and instructional to note that Version 2-1 is 28 pages in length, while Version 3-0 takes up 56 pages. Exactly double! MixedWood has commented extensively about the dangers associated with the overwhelming level of complexity that the FSC has allowed to invade its programs. This standard, we are sorry to see, continues that trend. In fairness, this document is sub-divided extensively and relies on a long list of attached Annexes (both normative and informative). For many implementing companies, much of the language will not be applicable. The structure, however, is quite confusing and full implementation will rely on a number of supporting procedures – further doubling the effective page count. FSC’s announcement includes a paragraph entitled “Next steps” which promises “educational and training materials” to be made available soon. This is good, but we would have preferred a standard that was comprehensible in its own right. MixedWood is concerned that many FSC-certified companies, who rely on the Controlled Wood standard for their business, will be alarmed by the sheer volume and complexity of this new standard document. This is quite understandable. Many leading experts have had the same reaction. Careful analysis, however, leads us to the opinion that application of this update will prove quite practical. The trick will be to avoid getting baffled by the details (there are a lot of them) and to patiently seek out the parts that apply to you. And yes – a good consultant can help. One very positive development is that FSC has finally joined its counterpart SFM organizations (PEFC & SFI) and embraced the Due Diligence System (DDS) approach to non-certified inputs. DDS, as a concept, did not exist in 2004 when STD-40-005 was first written. Today – driven largely by timber legality legislation in the US, the EU, & elsewhere – it has become an indispensable framework for responsible timber procurement worldwide. By embracing DDS, FSC will make it easier for companies to more easily synchronize their procurement policies to accommodate both legal requirements and multiple certification programs. A positive step forward. Here we find the basic documentation and record-keeping requirements. Most are familiar and will not be challenging to companies who keep good track of their supply chains. There are also some management system requirements, including annual internal audits and reviews. Existing Risk Assessments – these are the company-generated documents required by the current standard (v.2-1) and posted online. While less than ideal, the program has relied on these publicly-available assessments for 10 years. “Simplified” Risk Assessments – this is a format designed to allow the continued use of the Existing Risk Assessments until new formats are ready. We expect that these documents will receive minor updates and continue to be relied on for another 2 years (perhaps longer). Supply Chain Risk Assessments – the new standard includes a new requirement (clause 3.4) for companies to “assess and document the risk of mixing”. This is unlikely to be challenging for most companies to implement, but the requirement is a bit obscure and will be easy to overlook. “Centralized National” Risk Assessments (CNRA) – these are assessments undertaken by FSC-International. They address the 3 “easiest” of the the CW indicators: Legality, Civil Rights, & GMO’s. Initial drafts are available online, but have received little attention. We expect to see them finalized and incorporated into the NRAs (below) in the coming year or two. “National” Risk Assessments (NRA) – these are the comprehensive documents which are intended to cover an entire country and eventually replace the company-based assessments (both Existing and “Simplified”) – in theory by late 2017. Both FSC-US and FSC-Canada have staff and working groups assigned to this project, but both have made little or no progress in the past year. “Extended” Risk Assessment (ERA) – this is a format for allowing an individual company to conduct and document their own Risk Assessments in parts of the world where NRA’s and CNRA’s are not available. We do not expect this format to be relevant in North America. Under a DDS protocol, the Risk Assessment yields a conclusion about whether the risk of ethically and legally unacceptable material is “Low” or “Not Low”. A finding of Low Risk means no further action is needed. A finding of Not Low (termed by FSC as either “Specified Risk” or “Unspecified Risk”) requires application of a mechanism to mitigate this risk. FSC terms these mitigation mechanisms “Control Measures” (CMs). For the time being CMs remain theoretical and uncertain. They bear close scrutiny, however, because their development lies in the hands of FSC staff (national and international) who will be developing CNRA’s and NRA’s in the coming years. They are likely to result in a whole new layer of performance standards – effectively a standard within a standard – which will be applied to all CW companies. The details of these Control Measures will determine the effective cost and practicality of Controlled Wood certification in the future. The FSC has given the Certification Bodies (CBs) a big challenge by requiring them to develop auditing forms and train practitioners to be able to work with this very complex standard in time for its implementation date of 1 July 2016. For implementing companies, however, there is considerably more time. A one year transition period means that they can choose to continue following the current v.2-1 standard until July 2017. We think that most will. Significant change will come only when FSC-US and FSC-Canada re-start meaningful work on their respective National Risk Assessments. This will allow users to get a look at the proposals for “Control Measures” that get put on the table. This standard-within-a-standard has the potential to significantly add cost and complexity to a lot of businesses and needs to be watched closely. We expect to see substantive details in late 2016. 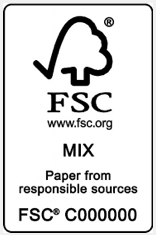 It is also worth remembering that FSC is still working on a revision of its main CoC standard (FSC-STD-40-004 v.3-0). The last discussion draft was released 4 months ago. It seem probable that they will be publishing the final document in the coming months. The bottom line is that 2016 promises to be the most significant and challenging year in the history of SFM certification. Hold on! We are in for a wild ride.